Baking has become a bit of an obsession with me. I’ve always enjoyed doing it but since I’ve started blogging, I feel an intense urge to do it, all the time. Quite frankly, this is the direct result of dissatisfaction I feel in other areas of my life (and just to be clear, that is NOT a dig at the Husband). I’m using baking as a mental escape from parts of my life that just aren’t that great. Baking is soothing and comforting – an activity that I can focus my tired, weary brain on, that takes time and care, that involves me using my hands to create something beautiful and hopefully delicious. I love clearing my cluttered countertops to make useable space, reaching down into my cupboard to grab my set of mixing bowls and placing them on the counter, selecting the different ingredients my recipe calls for and setting it all up. It’s calming to fluff flour inside my bin, incorporating air so that when I measure it into my measuring cup and level off the top, I know that my measurement is as accurate as it can be without a kitchen scale (which is on my loooong list of kitchen items to buy). My mind slows down as I take butter, cold from the fridge, and cut it into cubes so that it’ll soften quicker. 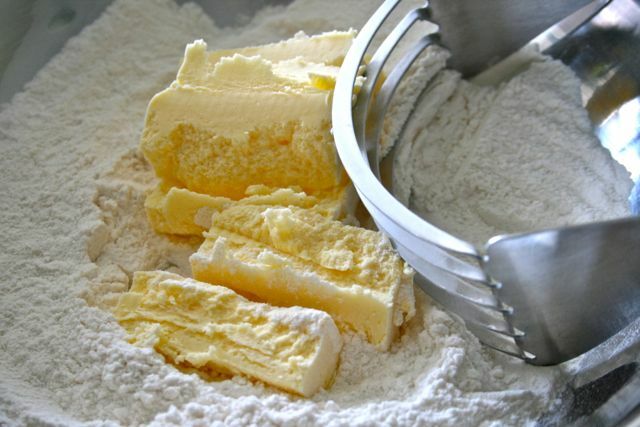 It’s relaxing to turn my mixer on or to whip/mix/stir by hand until I have a beautiful batter or dough. And the smells that emerge from my oven as it’s baking up my treat, quite simply, make me very very happy. I don’t have much spare time to indulge myself with baking. I work a 9 hour day, plus an hour’s commute. I’m lucky that the Husband shares dinner-making duties so that I’m not the only one slogging it in the kitchen every evening. I’ve stopped working out in the past month for several reasons (the top being my sheer laziness) but my mind is just so exhausted at the end of the work day that I CANNOT get myself motivated. I find myself forcing the time to bake into my days and feel like I’m neglecting the Husband, which makes me feel super guilty. Does anyone else experience this? Like you’re caught in an endless cycle between not being able to juggle what you SHOULD be doing and what you WANT to do? That you’re trying desperately to cling to something that feels good, adds value, and provides enjoyment in the face of what’s an otherwise lackluster existence? Yikes, this is starting to sound depressing and needlessly heavy. A lot of the desserts I’ve been making lately have been heavy, reflecting my dour mood. 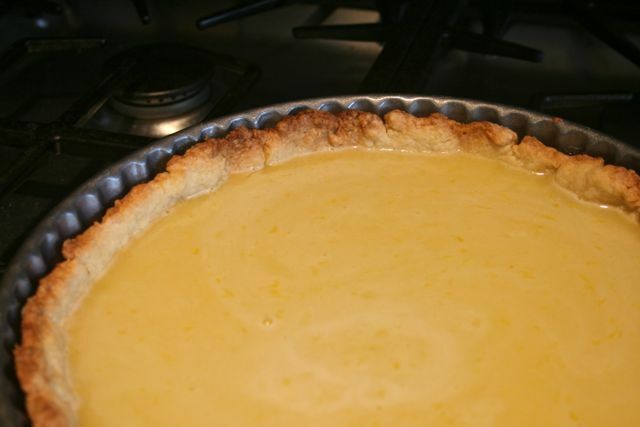 I made an amazing lemon tart to bring to a friend’s house for dinner this past weekend and the recipe is definitely a keeper. I got it from Nicole over at Baking Bites. This is actually the first baking blog I started to follow, years and years ago. I’ve made countless recipes from her blog and I don’t think I’ve ever had a baking disaster or epic fail from any of her recipes. She is just THAT good. 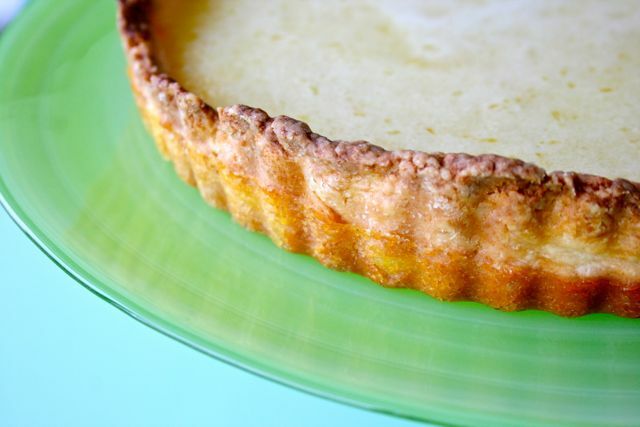 I didn’t change a thing so if you want to bake up a perfect, no fail lemon tart, see the recipe for Baking Bites’s Fool-Proof Lemon Tart here. 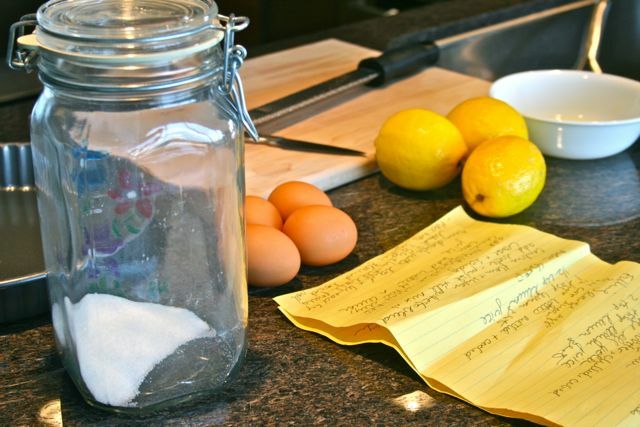 Sugar, eggs, lemons, butter. The foundation of this amazing tart. I don’t own a food processor so I’m making the dough by hand. Get it to a coarse, sand-like texture. 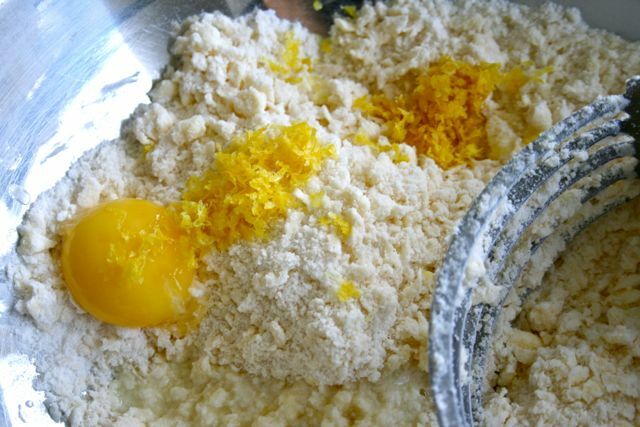 Add an egg yolk, lemon juice and lemon zest, then form into a ball. I love seeing the bright yellow specks of lemon zest. My handprints aren’t as appetizing to look at. My raw crust looks pretty ugly – especially all the places where I used spare dough to patch up holes. The filling is super easy to make. Here it is poured into my baked crust before the final stage of baking. The temperature called for in the recipe was a tad high, in my opinion (425 degree F), so the crust was a bit too dark around the edges for my taste. The next time I might turn it down to about 385 degree F and see the difference. This tart was everything I hoped it would be. Our friends served us an incredibly delicious, decadent French meal so this was a nice, light, fresh end to the meal. I was worried about the crust but it turned out beautifully. The crust was fully cooked, it was strong enough on the bottom to stand up to the filling without imparting much of a taste, and it was crispy and buttery along the edges. The filling is the true star – it was smooth and creamy with a bright, intense lemon flavour that was neither too tart nor too sweet. It truly lives up to it’s name of being fool-proof. oh my this looks so good, I love lemon!!! Looks so good! Love the green cake stand. Yes, I feel the same about being torn between wants and shoulds. In my case, it’s more than the husband though. I think there’s a lot that we as women have to juggle. Work, relationships, house work, cooking, exercising…and then add in kids, and fuggedabout! I don’t have kids and I’m still strapped for time and energy, all the time. Which is why I bake and eat yummy things like this tart, to self-medicate with food! Hey lady! First you shouldn’t feel guilty about doing something that makes you happy and destresses you. I feel the same guilt. I feel like I should be spending more time with Levi or Josh but like you, cooking helps me to cope. To cope with everyday stress and to keep my sanity (or whatever is left of it). But I’m glad you shared this lemon tart. I’ve been in the mood for baking lately. I go through baking sperts where all I want to do is bake. You will be ok. All will be fine! Thanks for the comforting words, my SSBFF. I always feel guilty for whining when moms tell me it’ll be ok – you guys have it way harder than I do! The only people I need to feed and keep alive are me and the Husband, hardly a difficult feat. I love that I can whine and complain through my blog, especially since the people in my life are sick ‘n tired of hearing it 😉 Wish you were here to share a slice of this tart with me! I love these photos! I want to eat that right.now. And I definitely feel you on the struggle to balance what you want to do and what you should be doing…although my dilemma is slightly different. Sometimes I feel like I should be getting out of my kitchen and DOING stuff instead of baking in all my spare time (like you, I have a 9 hour work day but only a half hour commute, thank goodness!). And sometimes I feel like baking can’t even overcome a lackluster existence! But most times it can 😉 Anyway. Do what makes you happy!! Reading your comforting words reminds me of how I ALSO feel guilty about NOT getting out of my apartment and doing active, social things! Lol. We can’t have it all, can we? Well, while we’re suffering through the mundane, adult, real-life things we’ve got to do, at least we can do it with delicious baked goods! This looks delish and the photos are beautiful. Hi Alli, thanks for visiting and for the lovely comment! I feel the exact same way about baking! 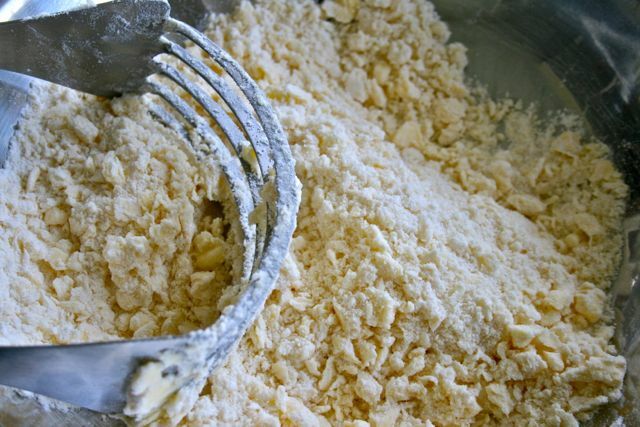 It’s so calming and relaxing, especially when you’re kneading dough by hand or mixing up batter. Sounds like we both use it as an escape. This tart looks so beautiful! I’ve been wanting to make a tart for a while now and I might just have to try this recipe. 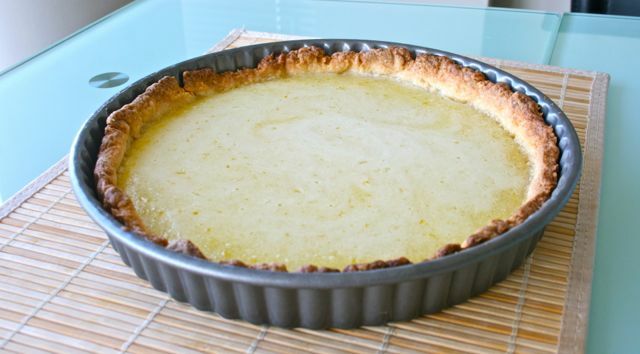 I love that you put lemon zest in the crust! It must make the tart even more lemony. I never would have thought of that! I do a lot of things to escape – shop, read, watch endless hours of PVR’d reality tv shows while stuffing my face (of course!). 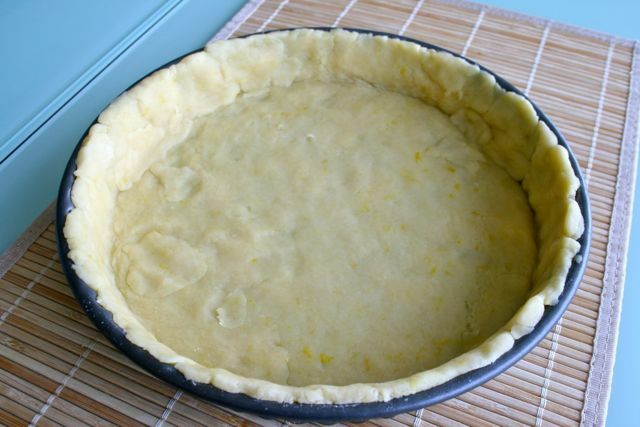 I don’t have a great track record with pie crusts but this recipe is truly foolproof. Give it a try and let me know how it goes! This looks like it’s gonna be my next recipe to try out! 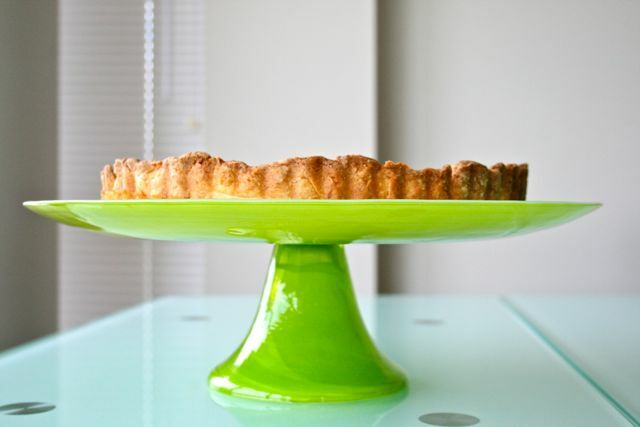 Love the lime green cake stand as well! Thanks, I love that cake stand too. I’m on a mission to buy more – there are so many gorgeous ones out there! Too bad I don’t have any space in my apartment to store them (but I’m not going to let that stop me 😉 Let me know if you try the tart and how it turns out! I completely and utterly sympathize with you about not having enough hours in the day to consistently do the things that make your soul sing. Having said that, I’m thrilled you’re actively trying to bake more – I mean, with baked treats looking as GORGEOUS as that lemon tart? That’s happiness right there. Lol, thanks Debra! Although now I’m thinking that I’m spending too much time by myself in the kitchen spiralling further into my dark hole of depression! Thank God for baked goods! Lol way to go! I usually tell the Husband to just let me do it too 🙂 He’s happy to oblige, especially when I’m cranky after work and need to de-stress. It’s nice reading everyone’s comments about how they can relate. I think we’re all going through the same thing. Nancy, we have the same tart tin!! 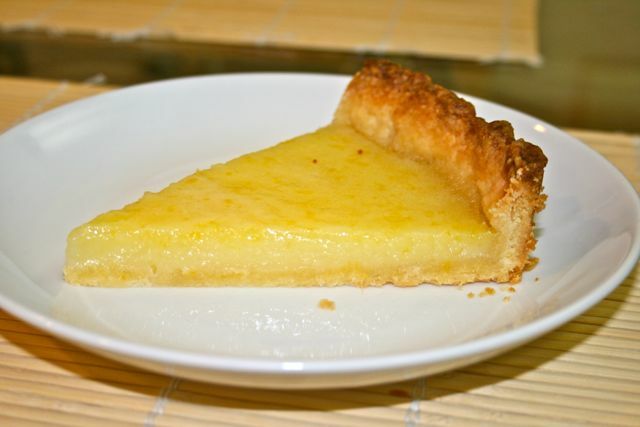 I love lemon tart and this looks absolutely scrumptious. 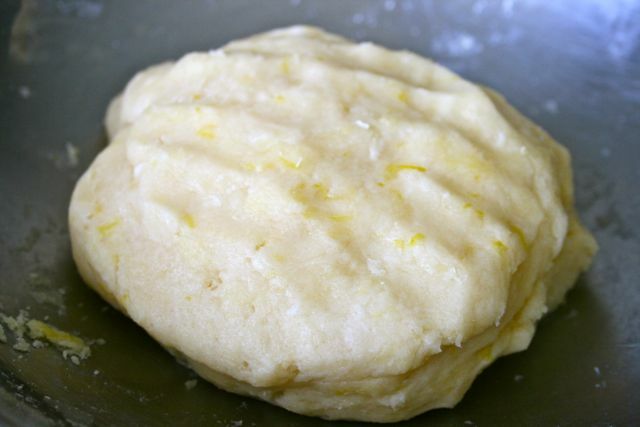 Your photos and making the dough by hand just makes me want to get baking too now. So great to have met you through Food Bloggers’ Network! First time at your beautiful blog! Indeed baking can be a distruction and a psychotherapy to many of our problems. It happens to me as well only with cooking! This tart looks so scrumptious and I am sure it made your day and lifted your mood quite a bit! Crazy bakers are the best bakers! 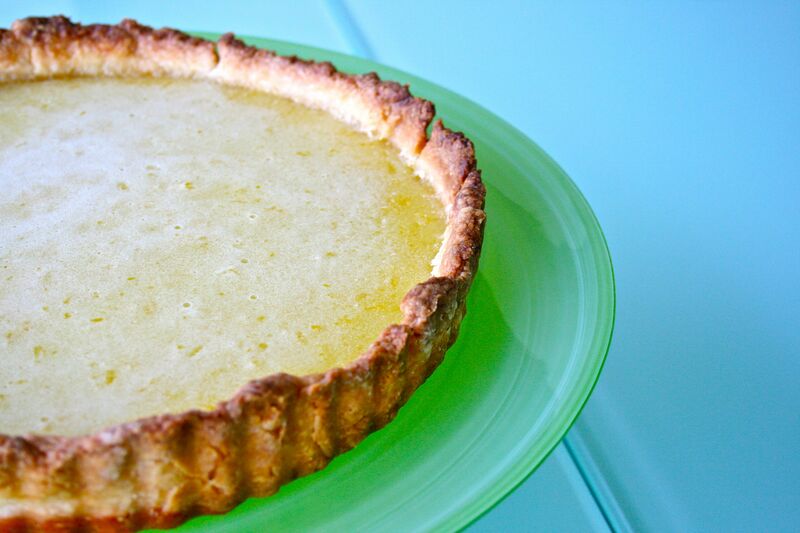 This tart is so easy – if I was able to make it, anyone can! And I love lemon zest in everything – such a great way to amp up the flavour. “Baking is soothing and comforting – an activity that I can focus my tired, weary brain on, that takes time and care, that involves me using my hands to create something beautiful and hopefully delicious.” Amen! Very well said! You continue to bake to soothe your soul! Lol, thanks! It’s been a super stressful week and I haven’t been able to do any blogging, baking or anything fun. I was finally able to get some baking today, even though I should be working from home…what can I say? I needed the mental break!